A principal function of the university is to conduct rational enquiry in order to discover/create new knowledge. Rational enquiry is dependent on academic freedom, ie freedom of speech that allows full and free contest of ideas. Freedom of speech is so fundamental to rational argument that, if it is denied in a university, we no longer have a university. And, of course, inhibition of free enquiry would cripple science, most of which is carried out in universities. But, amazingly, freedom of speech is under siege in the modern university. The British philosopher Sir Roger Scruton examined this phenomenon in an address to a conference on The Future of Higher Education at Buckingham university last September (Free Speech and Universities – www.roger-scruton.com). Scruton believes heresy is central to understanding this problem. Every group organised around a fundamental doctrine deals harshly with dissident members – heretics – who disagree with aspects of the doctrine. The group feels that, if heretics are allowed to openly disagree, the basic doctrine will be seen to be arbitrary, which cannot be allowed. We are most familiar with heresy in a religious context, but it is applicable to any doctrine. Consider the many heresies of communism, eg Trotskyism, all denounced and punished by Marxist-Leninism. 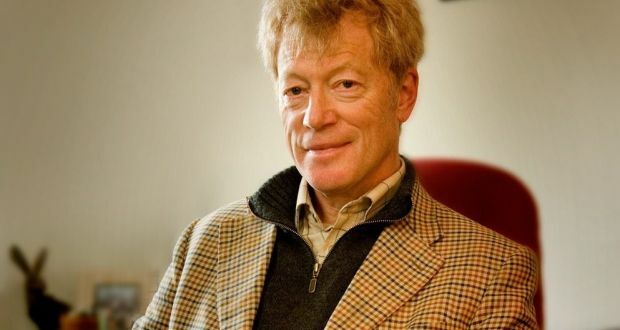 Scruton describes the doctrine of universal non-discrimination now widely adopted by university students and supported by many staff in postmodern disciplines, eg gender studies, in our universities – “They are insistent that distinctions associated with their inherited culture – between sexes, classes and races, between genders and orientations, between religions and lifestyles – should be rejected in the interests of an all-comprehensive equality that leaves each person to be who she really is. A great negative sign has been placed in front of all the old distinctions and an ethos of ‘non-discrimination’ adopted in their stead. And yet this seeming open-mindedness inspires its proponents to silence those who offend against it. Certain opinions – namely those that make the forbidden distinctions – become heretical”. One example of this was the attempt by students to persuade Cardiff University to prevent feminist Germaine Greer from giving a lecture there in 2015 because she had publicly expressed the opinion that a transgender woman isn’t really a woman. The doctrine to be defended here is our individual right to decide what our gender is and to surgically alter our biological sexual anatomy to conform with our self-diagnosed gender. Armed police were present when Greer delivered the lecture. However, many medical and psychological professionals believe that much more study and debate is necessary before the science is settled in this area and before professional advice can be given with confidence about gender dysphoria and whether any given individual should undergo hormonal treatments and/or surgery. The concern here is simply to avoid situations where someone rashly proceeds with irreversible changes and later discovers this was a mistake. By caving in to supporters of the new non-discrimination doctrines, universities renege on their duty to defend that special trust of academic freedom bestowed on universities alone because it is so important. And this key brick in the edifice of civilisation is put at risk because it is, apparently, so difficult for lawful authority to confront a few banner-waving slogan-chanters. The post New Doctrine Threatens Freedom Of Speech In Universities appeared first on The Global Warming Policy Forum (GWPF).